These fresh strawberry pancakes are light, nutritious and pretty. They’ll be great in the summertime, but maybe even more perfect as a fun Valentine’s Day breakfast. I used gluten-free whole grain ingredients - mainly almond flour - so they’re tender and moist AND high in protein. The strawberry slices caramelize slightly in the skillet, making them even sweeter. The topping is super easy: warmed strawberry preserves. I’m also happy to report that these pancakes are just as good with maple syrup (my personal choice!). Or go wild and mix the two. Do you have any favorite Valentine’s Day breakfast recipes? How about desserts? Leave a comment and let me know! 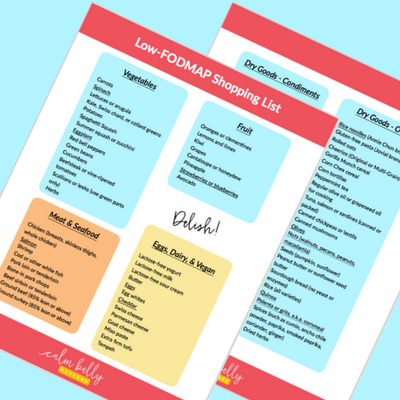 Want more low-FODMAP breakfast recipes from the blog? The warmed jam is a fun alternative pancake topping, but I’m a diehard maple syrup lover. Use whatever you prefer, or mix them. I haven’t tried substituting any other GF flours, but if you know your gluten-free ingredients, give it a shot and let me know how it goes! Use certified GF ingredients if needed (you don’t need to avoid gluten on the FODMAP Diet) and choose preserves with no high-fructose corn syrup so they’re low-FODMAP. 1. In a liquid measuring cup or medium bowl, combine lemon juice and milk; set aside. In a large bowl, whisk together the almond meal, oat flour, cornmeal, sugar, baking powder and salt. 2. In medium bowl, whisk the eggs. Add vanilla, almond if using, and milk mixture; whisk until combined. Add to bowl with dry ingredients and stir until just moistened. Stir in food coloring if using. Rest 3 to 5 minutes to allow dry ingredients to hydrate. 3. Heat a nonstick skillet or griddle to just above medium heat. Place 4 to 5 strawberry slices close together in the skillet. Pour about ¼ cup batter over strawberries. Cook until small bubbles appear and bottom side is golden brown, 1 to 2 minutes. Flip and cook until opposite side is golden, about 1 minute. 4. Repeat with remaining strawberries and batter, adjusting heat as needed so pancakes don’t brown too quickly. You can serve as you go, or transfer pancakes to a baking sheet and keep warm in a 175F oven. To serve with warm jam, heat jam in a microwave-safe bowl until it drips off a spoon, 60 to 90 seconds. Garnish with additional strawberries if desired. The glass-half-full people out there might call this blog post a bit "scattered." I'm calling it chock full 'o goodness. So, I have two totally different but equally great things to share with you. First up is my recipe for Huevos Rancheros. Translation: I just wanted to eat Mexican food for breakfast. This recipe was inspired by my Low-FODMAP Salsa (and yes, you need to make the salsa too) , but it almost never came together. See, I think huevos rancheros absolutely require refried beans. Since I know beans can leave me bloated for days, I rarely eat them, BUT I have had great luck with canned lentils. 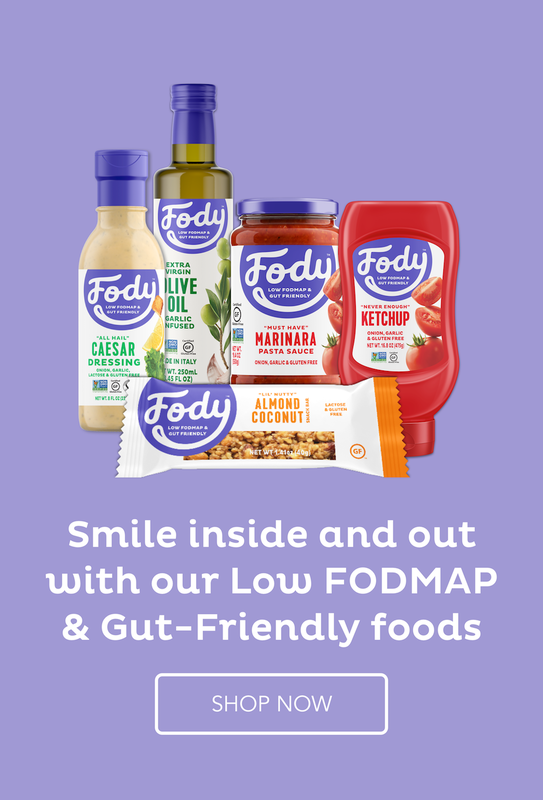 The Monash University Low-FODMAP app shows that a smallish serving of rinsed canned lentils (46 grams) is low in FODMAPs. In a nice little lightbulb moment, I thought, Why not use them to make refried beans? If pinto beans and black beans taste good mashed up, why not lentils? The texture is a little different, but spread 'em on a tortilla, and you won't care. Keep scrolling for the recipe. End of Summer Cookout Tips! The end of summer always sneaks up on me. I'm usually busy enjoying the great weather in Chicago, and I don't want to remember that it's about to end. And since I was blissfully ignorant that Labor Day weekend was right around the corner, I didn't come up with a good cookout/grilling/potluck sort of recipe. Instead, I made a video with my three best tips for a great end-of-summer cookout and a calm, happy belly. All the links and things I mention in the video are below. Watch it, and you'll get to see me being super-humble (by which I mean not at all humble) at the 0:28 mark. As promised in the video, here's a shot of our first time doing beer can chicken. My hubby smoked it a little too, and the flavor was amazing. It's a lot easier to fit the chicken under the lid if you have an egg-shaped smoker or larger grill. Ours was slightly janky, but it worked! Have a fun, healthy end-of-summer weekend! Melt butter in a small saucepan on medium heat. Add lentils and season to taste with salt and pepper. Stir it up, then mash with a potato masher or fork until you have a chunky-mash texture. Reduce heat to low and stir in salsa to thin the texture slightly, adding as much of the salsa juice as needed to reach a consistency you like. Remove from heat. Keeps in the refrigerator for 3 to 5 days. Want to make it super easy and buy your salsa instead? 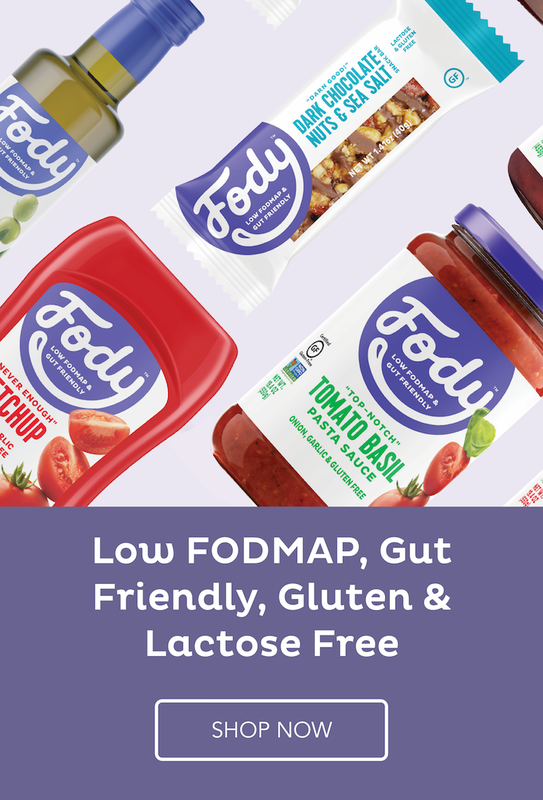 Fody sells low-FODMAP certified salsa in medium and mild! 1. Heat a large skillet on medium and mist with cooking spray. Heat the tortillas until lightly browned, about 2 minutes per side. Transfer to a plate. 2. Meanwhile, cook the egg to your liking (over easy is my favorite). Top tortillas with beans, salsa, egg and cheese. Serve immediately.